On April 15-17, the Annual Sustainable Meetings Conference — hosted by the Green Meeting Industry Council brought together professionals from all corners of the meetings and events industry — planners, suppliers, service providers, and destination representatives — around a single mission: transforming an industry by integrating sustainability into the entire life-cycle of event planning and execution. The event is an opportunity to gain new tools, share best practices and transferable lessons, network with peers and leaders in the industry, and get inspired to continue your efforts alongside like-minded professionals in the community. This was our first year working with GMIC on the event and they wanted a new spin on the event logo, branding and overall identity. Our first step was taking the existing SMC logo, toning it down a bit and tying it together with the GMIC brand. Working with GMIC, we were able to develop a brand that connects directly to GMIC and that can be reused consistently in upcoming years, with only slight modifications to the date. Select conference sessions/content were made available to a virtual audience with facilitation through Plan Your Meetings and live steaming YouTube + SnappyTV videos. Collectively packaged 29,808 meals in one hour for Stop Hunger Now. Attendees experienced sustainability in action with 11 different tours around the city of San Francisco. Click the image below to view select photos from the 2014 event. Photos courtesy of Bay Area Event Photography. You won’t want to miss this keynote address by Jennifer Allen, February 7th during The Washington Higher Education Sustainability Conference. With areas of expertise in environmental and natural resource policy and administration and sustainable economic development, Jennifer Allen is an associate professor of Public Administration and director of the Institute for Sustainable Solutions at Portland State University. 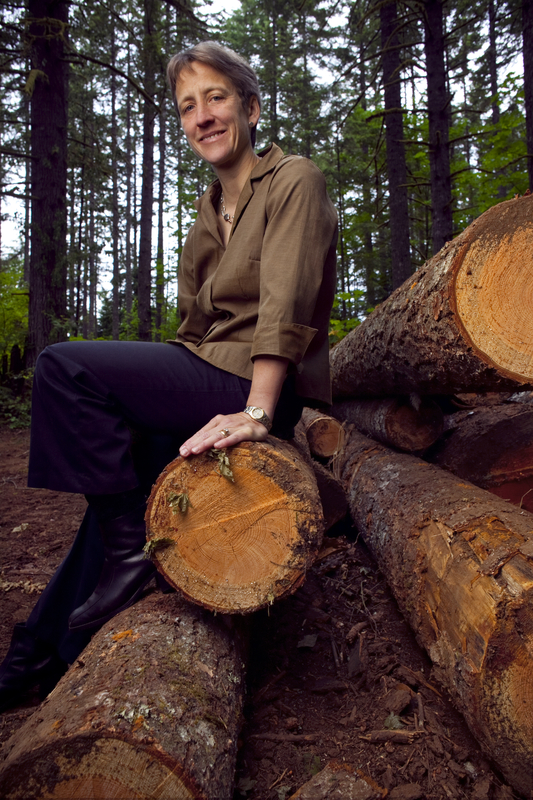 Her areas of research encompass environmental and natural resource policy and administration and sustainable economic development, with particular focus on green buildings and rural-urban market connections. WAHESC: As an educator and a researcher, you are serving on several boards for many sustainable and environmental conservation organizations. What are the gaps or disconnects between the academic and businesses in terms of carbon emission reduction, natural resources development and green economy growth? We also lack effective channels for the private sector to share their research needs with academics, and the converse is also true: We lack good channels to share academic work—in a non-academic, more accessible vocabulary—with the private sector. WAHESC: To bridge those gaps, what are your recommendations and ideas on how private sectors and academics can collaborate to lead sustainability initiatives and build healthy environments on campuses and in communities? JA: One of the most important things we can do to bridge this divide is to build stronger relationships, mutual understanding, and trust between the community and the university. One of the ways we are attempting to do this at PSU is through our “Research to Action” event series. We host themed symposia—on topics such as urban sustainability, social determinants of health, and ecosystem services—and invite faculty and community partners to share their ongoing work in clustered 5 minute “blasts”, followed by opportunities for dialogue and partnership-building. This approach distills PSU’s research activities and the community’s research needs into digestible “bites” and presents them in an accessible format, allowing for give and take discussion between practitioners and researchers. PSU is also actively engaged with the business community in the area of social entrepreneurship; in our Impact Entrepreneurs program, social enterprise professionals, nonprofits, students and community members work together to “unleash the power of business for social impact”. One of the most powerful aspects of this program is that it creates an innovation space where academic assets and strategic business thinking come together to address critical social issues. WAHESC: What leadership role should academics play in environmental stewardship that can effectively influence public policy, sustainable economic development and climate change solution innovation beyond the ivory tower? JA: Because of their nature as educational and research institutions, universities have the opportunity to serve as respected and effective “conveners” around challenging topics, providing a platform and forum where complex issues can be constructively explored. For example, PSU’s Institute for Sustainable Solutions has supported research by PSU faculty on the implications of a carbon tax for the State of Oregon, and has provided a number of opportunities for dialogue about the findings of this research. Oregon Solutions is another program at PSU that provides a neutral forum to help partners come together to address challenging community issues. Another important role for universities is to identify and analyze “best practices” related to sustainability challenges to better understand what works, what doesn’t, and how solutions need adapt to reflect particular organizational or geographical contexts. For example, I’ve done some work in the area of green chemistry, looking at what other states are doing to advance the adoption of safer alternatives to toxic chemicals. In particular we focused on what strategies could help businesses realize a competitive advantage from developing and adopting safer alternatives. Another approach that will resonate with this conference’s audience is to explore how we can make our campus operations “living laboratories” where innovative sustainability strategies are tested and shared—ideally in collaboration with other public and private sector partners. Finally, institutions of higher education need to be more intentional in developing the leaders of the future: our students. We can do this by providing them with opportunities—both inside and outside the classroom —to grapple with complicated issues, engage with diverse partners from both the public and private sectors, and bring their best and most innovative thinking to develop solutions to the challenges we face and the challenges we don’t yet recognize. This is perhaps the most critical role we can play. I’m excited to learn more about what other colleges and universities are doing on this front and in other areas at the Washington Higher Education Sustainability Conference.